Bradford Young is one of the most revered cinematographers of our time, being the first African American DP nominated for an Academy Award. Rashid Shabazz is Color of Change’s Chief Marketing and Storytelling Officer. For nearly 20 years he has been a grassroots media and communications organizer, as well as a writer. Join them for this conversation exploring their friendship, career trajectories, and their wide-ranging interests in contemporary art, philosophy, history, and the importance of storytelling in preserving community. 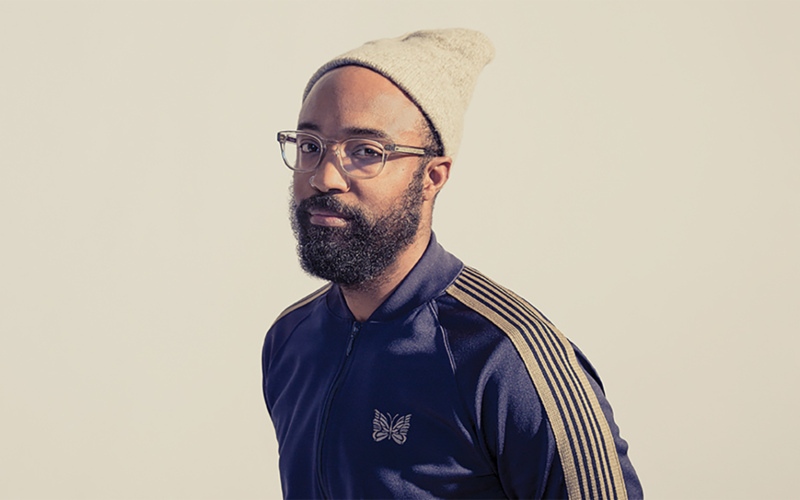 Bradford Young, ASC, originally from Louisville, KY, is a cinematographer who studied under the tutelage of filmmaker Haile Gerima. His recent film contributions include Ron Howard’s SOLO: A STAR WARS STORY and Denis Villeneuve’s ARRIVAL for which he was nominated for an Academy Award and a BAFTA for achievement in cinematography. Ava DuVernay’s SELMA, for which Bradford was nominated for an Independent Spirit Award for Best Cinematography in a Motion Picture. JC Chandor’s, A MOST VIOLENT YEAR. David Lowrey’s, AIN’T THEM BODIES SAINTS and Andrew Dosunmu’s MOTHER OF GEORGE for which he was awarded the 2013 Sundance US Dramatic Competition Excellence in Cinematography award for both films. Other films include Dee Rees’ PARIAH, for which he won the 2011 Sundance US Dramatic Competition Excellence in Cinematography award, Ava DuVernay’s MIDDLE OF NOWHERE, Tina Mabry’s, MISSISSIPPI DAMNED, Paola Mendoza’s ENTRE NOS and Andrew Dosunmu’s, RESTLESS CITY. Bradford is an 2014 inductee into the Academy of Motion Picture Arts and Sciences and a 2015 inductee into the American Society of Cinematographers. Rashid Shabazz is the Chief Marketing and Storytelling Officer at Color Of Change, the nation’s largest online racial justice organization. Rashid leads the organization’s storytelling, brand, and communications efforts. This includes the Hollywood Culture Project, which focuses on ensuring accurate, diverse, empathetic, and human portrayals of Black people on television and throughout the media landscape. Prior to joining Color Of Change, Rashid served as a Program Officer with the Open Society Foundations (OSF) from 2009-2015. There, he helped lead over $110 million in investments for Black men and boys, with a specific focus on strategic communications, storytelling, and narrative change. In 2015, with a $10 million seed grant from OSF, Rashid helped the Campaign for Black Male Achievement program spin-off as an independent organization. Rashid also worked closely on Question Bridge: Black Males, which became part of the permanent archive at the Smithsonian’s National Museum of African American History and Culture in 2016. Other projects under Rashid’s leadership at OSF included research on changing perceptions around Black men and boys, the Sundance award winning documentary American Promise, and a number of other storytelling initiatives and films. He also helped create and launch the Echoing Green’s Black Male Achievement fellowship for social entrepreneurship. Before joining OSF, Rashid was a Senior Account Executive with Fenton Communications, where he helped to lead an initiative on reframing narratives about American Muslims. In addition to his over two decades of experience as a grassroots media and communications organizer, he has also been a contributing writer to several publications and books. Rashid holds a B.A. in English from George Mason University, an M.A. in African Studies from Yale University, and an M.S. from Columbia University Graduate School of Journalism. He lives in Brooklyn, NY with his wife Rashida Bumbray, who is a curator and artist, and their daughter.